TV cook Nigella Lawson has confessed talking cocaine, but she believes that she is not a drug addict or having a drug problem. 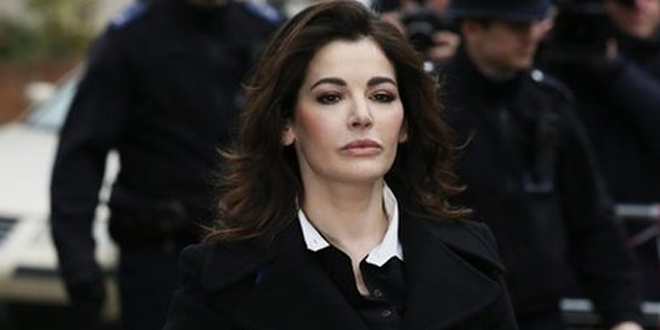 She has admitted that she first started taking cocaine along with her late husband John Diamond when he was terminally ill.
Ms Lawson said she had taken it again in July 2010, after she felt she had been “subjected to intimate terrorism” by her ex-husband, Charles Saatchi. She made the admission at the trial at Isleworth Crown Court of her former assistants, who deny fraud. Francesca and Elisabetta Grillos’ defence claims Ms Lawson allowed them spend on credit cards in return for covering up her drug use. Ms Lawson, 53, said she took cocaine with Mr Diamond on six occasions, after he found out his cancer was terminal. “It gave him some escape,” she said. She said she had responsibility for looking after him and the family as well as earning a living – and that she had spoken to a doctor at the time. She went on: “There was another time I took cocaine. In July 2010 I was having a very, very difficult time. “I felt subjected to intimate terrorism by Mr Saatchi,” she said, adding that she felt “isolated and in fear of… just unhappy”. “A friend of mine offered me some cocaine, I took it,” she said. Ms Lawson added it “completely spooked” her. Ms Lawson maintains her stand that it was a one off situation and she is not having any problems with drugs or even close to being a drug addict. Selena Gomez & Justin Bieber Change Seats in AMA! ‘American Horror Story’ Gets Record-Breaking Ratings! SAG Awards 2014 – WINNERS LIST! Previous: Only 1% of Snowden Files Published? ?